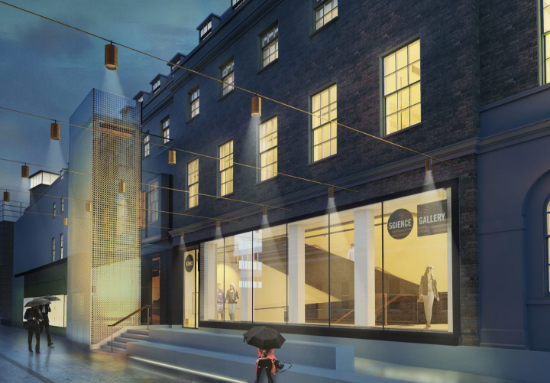 Aiming to bridge the gap between science and art, King’s College London is all set to open Science Gallery London, a new space in the heart of the capital, where ‘science and art collide’. The gallery is part of the Global Science Gallery Network and will open its doors to the public in 2018. The free-to-visit space seeks to spark creative thinking and innovation, through collaborations not only between scientists and artists, but also between local communities, students, educators, young researchers, and people like you and me. The gallery will host exhibitions, events, live experiments and interactive discussions, serving as a channel through which King’s researchers can connect and engage with the outside world. 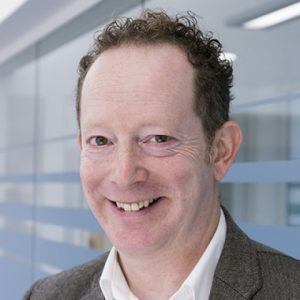 The Director of Science Gallery London, Dr. Daniel Glaser, is a neuroscientist, and former head of Engaging Science at Wellcome Trust. He was also the first scientist to serve as a judge for the Man Book Prize, and was the first Scientist in Residence at the Institute of Contemporary Arts in London. I chat with Dr. Glaser over the phone about Science Gallery’s vision, and the need for interdisciplinary collaboration. RS: How did the idea of Science Gallery come about? What was the need for a space like this? DG: Science Gallery was started in Dublin in 2008. The need for it comes from a combination of two things really. It was born out of a progression of an artistic movement that combined science and art – the idea being that these two disciplines should not be separate. It was also the result of a long progression of work funded by people like the Wellcome Trust – where artistic products helped people connect to science. The second motivation for us at King’s is for the university to be able to connect to the city. We’ve got the gallery on the corner of the campus on a very busy street, so it’s a mechanism or a channel through which we can connect with the city. RS: Why do you think it’s important for scientists and artists to collaborate? DG: The right way to think about it would be to think of the concept of interdisciplinarity. If we want to make progress in society, in science, in art, and in life – we need to have people from different backgrounds and traditions freely engage and interact with each other. We have different beliefs, different ways of talking and acting, there are differences in religion, nationality, scientific practice, art, etc. If a university has to thrive, if research has to thrive and the problems of society have to be solved, then we need to have these spaces where people from different perspectives come together. We are not only talking about biologists and chemists but also nanotechnologists, engineers and designers. Dyson is making engineering products, (Sir) Jonathan Ive, the designer of the iPhone, is someone from a design background working for a tech company. We need to encourage this kind of collaboration. RS: I read on the KCL website that the gallery focusses on reaching 15-25 years olds and that you approach them for ideas on new proposals. Why that age group specifically? DG: So there are two reasons. Let me ask you what age you want to be? DG: Exactly, mine’s 24 – that’s actually the median age. Both groups – younger and older – who were asked this question, pick this age range. This is also an under-served age group. Typically science museums are targetted to a much younger age group, whereas the more serious exhibitions involve scientists having a panel discussion after which we share a glass of wine – this age group falls in between the two. For our first exhibition on addiction, Hooked, with which we open in 2018, we asked this age group what they thought about addiction. We expected answers about heroin and drug injection and alcohol. But can you guess what they spoke about? DG: Exactly, mobile phones and social media. So when we open, the exhibition will not only focus on alcohol and drugs but also things that we didn’t think of as obvious themes. Young people bring in a new perspective. RS: If I am outside the age group can I still send in a proposal? DG: Absolutely. Also, we aim for 40% of our audience to be within the age group of 15-25 and the rest are outside that bracket. We have an open proposals system where just about anyone can send in a proposal. You needn’t have to be in that age group. But once we decide on a theme, the first thing we do is go out and ask 15-25 year olds what they think about it. RS: What is your criteria for commissioning projects? Well, the person who takes the call is someone who’s had curatorial experience, someone who’s had years of experience in putting on exhibitions. So far, the problem with SciArt galleries was that we had a scientist or, even worse, an admin making the decision but that’s not how it is here. Of course, the project has to have artistic excellence and should be exciting and engaging for a young audience. We not only display works that come in through the open calls, but we showcase other projects as well, to supplement them. RS: How do you get somebody who’s not in the UK to engage with this space? DG: Anyone from any part of the world can make a proposal – we’ve commissioned projects from Taiwan, China, Italy – the world over. Though we say the proposals system is ‘open’, we typically get proposals from people who understand science and art. We also expect the ideas to engage underactive groups. RS: I read about the spit crystal project. 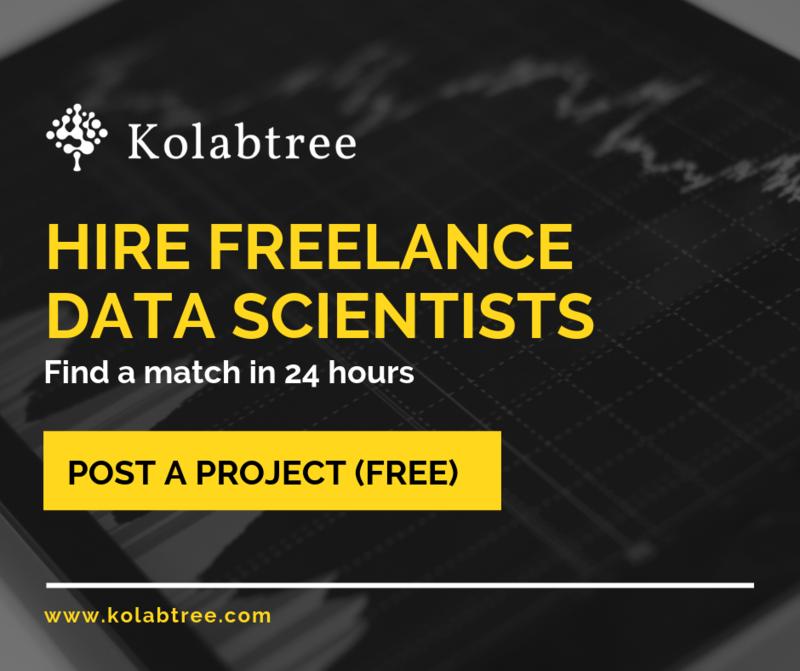 Do you think the questions/conclusions that come out of these kind of projects will spur research and innovation at KCL and outside? DG: I’m really glad you bring up the spit crystal because it’s one of the most fascinating projects we’ve had. We had Inés Cámara Leret, a young artist in her 20s, send in this proposal. At the gallery, she ended up meeting Brian Sutton, a senior professor of X-ray crystallography, who worked under the same supervisor as Rosalind Franklin. Now, Inés was making the crystal not just by spit but by adding alum to it. Professor Brian Sutton was so intrigued that he now has actually got a postdoc working with him on generating spit crystals from protein in the saliva. We’ve had lots of such examples, but not every artistic idea will go through the same interaction. It’s not something that happens automatically – you need the right kind of experienced mentors who can take the idea forward. What we want is for projects to raise questions that enable us to look at the world around us in a different light. RS: How has the response to the exhibitions been so far? DG: We’ve been doing pop ups all over the city. I’ve been in this field for about 20 years now, and I can say that the response has been extremely positive. We’ve had hundreds to thousands of people looking at artworks and thinking about themselves and the world around them in a different way. We also have student mediators from KCL whom we pay to interact with visitors. We saw one of these interactions over the weekend and it was absolutely fascinating to watch the conversation between the public and students. There were so many questions that came out of it – and I think those questions are essential for us to make progress. 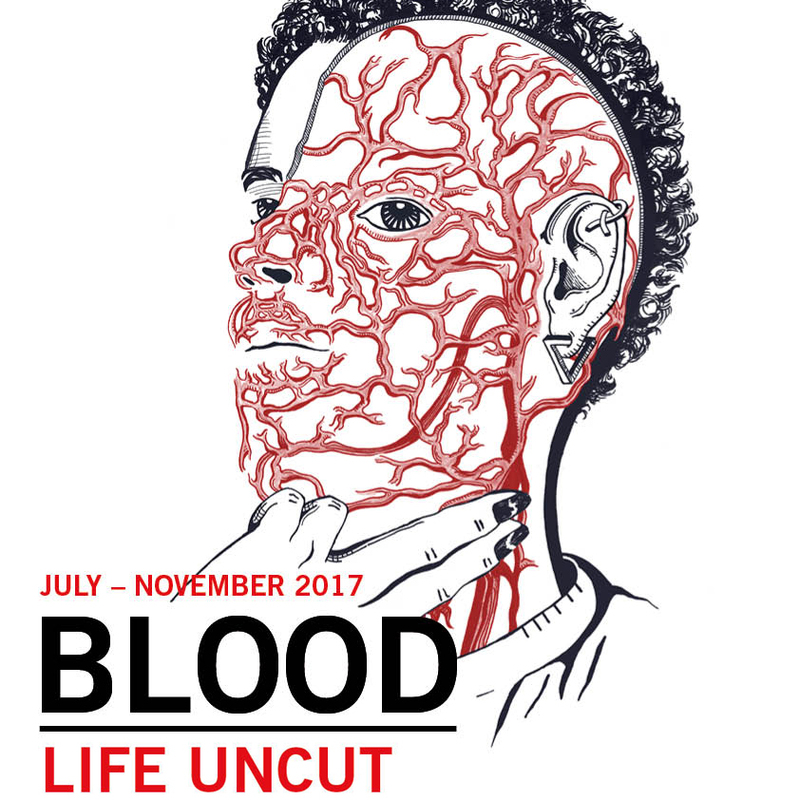 Science Gallery London is hosting an exhibition and event series, Blood: Life Uncut , from 27.07.17 – 1.11.17, that explores the diverse ways blood can captivate and bring people together. RS: In your speech at EHD2017, you mentioned that interdisciplinarity is about ignorance. Do you think that a place like Science Gallery London help remove that ignorance and make research more inclusive? DG: Well, I don’t think we should remove ignorance. By ignorance, I mean the disciplines we specialise in – we all think and speak a certain way, we interact with others who think like us. Discipline refers to expertise or knowledge in one particular area. That is inhomogenous too – its not the same everywhere. So, I don’t think that we should be removing this ignorance, but we should be permitted to ask questions. Often, stupid questions are the best ones. In English, we even say it to defend ourselves – “Ah, this is probably a stupid question” – but these questions are the ones that are critical for us to make progress. ‘Ignorance’ is a new energy source for us to capitalize on. RS: Do you think the future of science is about collaboration? I especially ask this since I work for an organization that encourages interdisciplinary collaboration. DG: Yes, but I don’t think the majority of papers should be about that. When I started doing a PhD in neuroscience, there were no professors studying neuroscience, the term didn’t really exist. Disciplines shift over time, and not all collaborations are fruitful. Not all survive. What I think is important is periodic engagement outside your comfort zone. If you’re a researcher, you spend most of your time in the lab, talking to people who think just like you. When you get out of that zone, you start to make progress. We are so comfortable in our space – I think exploring and engaging with the world outside of it is important. RS: Is there any message you would like to share with young researchers and artists? DG: Well. I’d say, be brave and respectful, which are also the values of the Science Gallery. Look for ways to connect with others, and participate. Most importantly, never be scared to surprise yourself and others. Read more about ongoing events at Science Gallery London here.